This is the joint report from the negotiators of the European Union and the United Kingdom Government on progress during phase 1 of negotiations under Article 50 TEU on the United Kingdom’s orderly withdrawal from the European Union. As presented jointly by the negotiators of the European Union and the United Kingdom Government. This report, presented jointly by the negotiators of the European Union (Union) and the United Kingdom of Great Britain and Northern Ireland (UK), records the progress made in the first phase of negotiations under Article 50 of the Treaty on European Union (TEU) on the UK’s orderly withdrawal from the Union. Progress was also made in achieving agreement on aspects of other separation issues. The positions detailed in this report form a single and coherent package. Agreement in principle has been reached on the package as a whole, as opposed to individual elements. Under the caveat that nothing is agreed until everything is agreed, the joint commitments set out below in this joint report shall be reflected in the Withdrawal Agreement in full detail. This does not prejudge any adaptations that might be appropriate in case transitional arrangements were to be agreed in the second phase of the negotiations, and is without prejudice to discussions on the framework of the future relationship. The overall objective of the Withdrawal Agreement with respect to citizens’ rights is to provide reciprocal protection for Union and UK citizens, to enable the effective exercise of rights derived from Union law and based on past life choices, where those citizens have exercised free movement rights by the specified date. To date, both Parties have reached a common understanding on the following. The specified date should be the time of the UK’s withdrawal. Decisions on recognition of qualifications granted to persons covered by the scope of the Withdrawal Agreement before the specified date in the host State and, for frontier workers, the State of work (either the UK or an EU27 Member State) under Title III of Directive 2005/36/EC (recognition of professional qualifications where the person concerned was exercising the freedom of establishment), Article 10 of Directive 98/5/EC (lawyers who gained admission to the host State profession and are allowed to practise under the host State title alongside their home State title) and Article 14 of Directive 2006/43/EC (approved statutory auditors) will be grandfathered. Recognition procedures under these Directives that are ongoing on the specified date, in respect of the persons covered, will be completed under Union law and will be grandfathered. It is of paramount importance to both Parties to give as much certainty as possible to UK citizens living in the EU and EU citizens living in the UK about their future rights. The Parties have therefore reached agreement on the following specific set of arrangements to implement and enforce the citizens’ rights Part of the agreement. 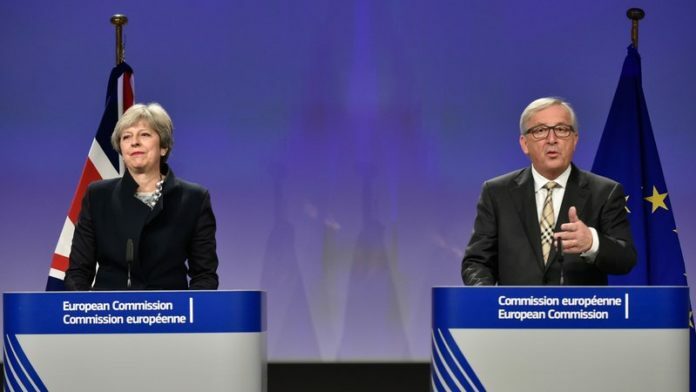 Both Parties agree that the Withdrawal Agreement should provide for the legal effects of the citizens’ rights Part both in the UK and in the Union. UK domestic legislation should also be enacted to this effect. The provision in the Agreement should enable citizens to rely directly on their rights as set out in the citizens’ rights Part of the Agreement and should specify that inconsistent or incompatible rules and provisions will be disapplied. The UK Government will bring forward a Bill, the Withdrawal Agreement & Implementation Bill, specifically to implement the Agreement. This Bill will make express reference to the Agreement and will fully incorporate the citizens’ rights Part into UK law. Once this Bill has been adopted, the provisions of the citizens’ rights Part will have effect in primary legislation and will prevail over inconsistent or incompatible legislation, unless Parliament expressly repeals this Act in future. The Withdrawal Agreement will be binding upon the institutions of the Union and on its Member States from its entry into force pursuant to Article 216(2) TFEU. The Agreement establishes rights for both UK citizens living in the EU and EU citizens in the UK. To protect those rights and give citizens legal certainty, a consistent interpretation and application of the citizens’ rights Part is in the interest of both Parties to the Agreement and therefore appropriate mechanisms should be established to ensure this. This Part of the Agreement establishes rights for citizens following on from those established in Union law during the UK’s membership of the European Union; the CJEU is the ultimate arbiter of the interpretation of Union law. In the context of the application or interpretation of those rights, UK courts shall therefore have due regard to relevant decisions of the CJEU after the specified date. The Agreement should also establish a mechanism enabling UK courts or tribunals to decide, having had due regard to whether relevant case-law exists, to ask the CJEU questions of interpretation of those rights where they consider that a CJEU ruling on the question is necessary for the UK court or tribunal to be able to give judgment in a case before it. This mechanism should be available for UK courts or tribunals for litigation brought within 8 years from the date of application of the citizens’ rights Part. Consistent interpretation of the citizens’ rights Part should further be supported and facilitated by an exchange of case law between the courts and regular judicial dialogue. In the same vein, it is envisaged to give the UK Government and the European Commission the right to intervene in relevant cases before the CJEU and before UK courts and tribunals respectively. The implementation and application of the citizens’ rights Part will be monitored in the Union by the Commission acting in conformity with the Union Treaties. In the UK, this role will be fulfilled by an independent national authority; its scope and functions, including its role in acting on citizens’ complaints, will be discussed between the parties in the next phase of the negotiations and reflected in the Withdrawal Agreement. There should be regular exchange of information between the UK Government and the Commission. The approach agreed in the context of the citizens’ rights Part of the Withdrawal Agreement reflects both Parties’ desire to give those citizens certainty. It in no way prejudges discussions on other elements of the Withdrawal Agreement, including governance, other separation issues or any possible transitional arrangements, nor discussions on the future relationship. Both Parties affirm that the achievements, benefits and commitments of the peace process will remain of paramount importance to peace, stability and reconciliation. They agree that the Good Friday or Belfast Agreement reached on 10 April 1998 by the United Kingdom Government, the Irish Government and the other participants in the multi-party negotiations (the ‘1998 Agreement’) must be protected in all its parts, and that this extends to the practical application of the 1998 Agreement on the island of Ireland and to the totality of the relationships set out in the Agreement. The United Kingdom’s withdrawal from the European Union presents a significant and unique challenge in relation to the island of Ireland. The United Kingdom recalls its commitment to protecting the operation of the 1998 Agreement, including its subsequent implementation agreements and arrangements, and to the effective operation of each of the institutions and bodies established under them. The United Kingdom also recalls its commitment to the avoidance of a hard border, including any physical infrastructure or related checks and controls. Both Parties recognise the need to respect the provisions of the 1998 Agreement regarding the constitutional status of Northern Ireland and the principle of consent. The commitments set out in this joint report are and must remain fully consistent with these provisions. The United Kingdom continues to respect and support fully Northern Ireland’s position as an integral part of the United Kingdom, consistent with the principle of consent. The United Kingdom respects Ireland’s ongoing membership of the European Union and all of the corresponding rights and obligations that entails, in particular Ireland’s place in the Internal Market and the Customs Union. The United Kingdom also recalls its commitment to preserving the integrity of its internal market and Northern Ireland’s place within it, as the United Kingdom leaves the European Union’s Internal Market and Customs Union. The commitments and principles outlined in this joint report will not pre-determine the outcome of wider discussions on the future relationship between the European Union and the United Kingdom and are, as necessary, specific to the unique circumstances on the island of Ireland. They are made and must be upheld in all circumstances, irrespective of the nature of any future agreement between the European Union and United Kingdom. Cooperation between Ireland and Northern Ireland is a central part of the 1998 Agreement and is essential for achieving reconciliation and the normalisation of relationships on the island of Ireland. In this regard, both Parties recall the roles, functions and safeguards of the Northern Ireland Executive, the Northern Ireland Assembly, and the North-South Ministerial Council (including its cross-community provisions) as set out in the 1998 Agreement. The two Parties have carried out a mapping exercise, which shows that North-South cooperation relies to a significant extent on a common European Union legal and policy framework. Therefore, the United Kingdom’s departure from the European Union gives rise to substantial challenges to the maintenance and development of North-South cooperation. The United Kingdom remains committed to protecting and supporting continued North-South and East-West cooperation across the full range of political, economic, security, societal and agricultural contexts and frameworks of cooperation, including the continued operation of the North-South implementation bodies. Both Parties will establish mechanisms to ensure the implementation and oversight of any specific arrangement to safeguard the integrity of the EU Internal Market and the Customs Union. Both Parties acknowledge that the 1998 Agreement recognises the birth right of all the people of Northern Ireland to choose to be Irish or British or both and be accepted as such. The people of Northern Ireland who are Irish citizens will continue to enjoy rights as EU citizens, including where they reside in Northern Ireland. Both Parties therefore agree that the Withdrawal Agreement should respect and be without prejudice to the rights, opportunities and identity that come with European Union citizenship for such people and, in the next phase of negotiations, will examine arrangements required to give effect to the ongoing exercise of, and access to, their EU rights, opportunities and benefits. The 1998 Agreement also includes important provisions on Rights, Safeguards and Equality of Opportunity for which EU law and practice has provided a supporting framework in Northern Ireland and across the island of Ireland. The United Kingdom commits to ensuring that no diminution of rights is caused by its departure from the European Union, including in the area of protection against forms of discrimination enshrined in EU law. The United Kingdom commits to facilitating the related work of the institutions and bodies, established by the 1998 Agreement, in upholding human rights and equality standards. Both Parties recognise that the United Kingdom and Ireland may continue to make arrangements between themselves relating to the movement of persons between their territories (Common Travel Area), while fully respecting the rights of natural persons conferred by Union law. The United Kingdom confirms and accepts that the Common Travel Area and associated rights and privileges can continue to operate without affecting Ireland’s obligations under Union law, in particular with respect to free movement for EU citizens. Both Parties will honour their commitments to the PEACE and INTERREG funding programmes under the current multi-annual financial framework. Possibilities for future support will be examined favourably. Given the specific nature of issues related to Ireland and Northern Ireland, and on the basis of the principles and commitments set out above, both Parties agree that in the next phase work will continue in a distinct strand of the negotiations on the detailed arrangements required to give them effect. Such work will also address issues arising from Ireland’s unique geographic situation, including the transit of goods (to and from Ireland via the United Kingdom), in line with the approach established by the European Council Guidelines of 29 April 2017. Both Parties have agreed a methodology for the financial settlement. and financial and related arrangements for the European Investment Bank, the European Central Bank, European Union trust funds, the Facility for Refugees in Turkey, Council agencies and also the European Development Fund. The UK will contribute to, and participate in, the implementation of the Union annual budgets for the years 2019 and 2020 as if it had remained in the Union (including revenue adjustments ), on the basis of the applicable Union legal provisions including the Own Resources legislation. By derogation, any amendments to the Multiannual Financial Framework Regulation or Own Resources Decision adopted after the date of withdrawal, having an impact on the UK’s financial obligations, will not apply to the UK. The normal process of annual revenue adjustment in respect of the year 2020 will be completed in accordance with the Own Resources Decision and the other relevant Union provisions. Amounts to be returned to, or returned by, the UK will be calculated as if the UK had remained in the Union. The UK will also participate in the surplus exercise with respect to 2020. In the second phase of negotiations, some simplification of the revenue adjustment procedure including time limitation could be agreed between the UK and the Union. The UK will contribute its share of the financing of the budgetary commitments outstanding at 31 December 2020 (RAL). The UK will contribute its share of the financing of the Union’s liabilities incurred before 31 December 2020 except for liabilities with corresponding assets and any assets and liabilities which are related to the operation of the budget and the Own Resources Decision. The UK will remain liable for its share of the Union’s contingent liabilities as established at the date of withdrawal. For those related to guarantees given by the Union budget to support financial operations (e.g. back-to-back loans for financial assistance, financial operations managed by the EIB such as EFSI or the external lending mandate, financial operations managed by other financial institutions, Union budgetary financial instruments), the UK liability will be limited to decisions on each financial operation adopted prior to the date of withdrawal. By derogation, for contingent liabilities related to legal cases as a result of participation in the budget, programmes and policies, the cut-off date will be 31 December 20208 . In the event of triggering of the Union contingent liabilities for which the UK is liable, the UK will receive its share of any subsequent recoveries. As the provisioning needs for the financial operations associated with these contingent liabilities decline, the UK share of the paid-in guarantees constituted from the budget until the end of 2020 will be returned to the UK, provided that it has not been used for covering losses on the underlying financial operations, as well as any gains from these financial operations to be returned to all Member States, even if such funds would be recommitted. Similarly, as the financial operations supported by the net asset of the European Coal and Steel Community in liquidation and of the European Investment Fund decided before the withdrawal date, mature, the UK will receive its share. Union assets relating to Union space programmes (EGNOS, Galileo & Copernicus) are not part of the financial settlement. The UK’s past contribution to the financing of space assets could be discussed in the context of possible future access to the services offered. The UK will not finance any commitments that do not require funding from Member States, and will receive a share of any financial benefits that would have fallen to it had it remained a Member State. In particular, the value of the RAL, as audited by the European Court of Auditors, will be adjusted to take into account the actual implementation of the Union’s commitments, taking into account decommitments and assigned revenue. The UK opt-outs leading to non-participation in Union programmes existing at the date of withdrawal will continue to apply in respect of the financial settlement. Except for the UK payments relating to UK participation to Union annual budgets to 2020 as set out in paragraphs 59 and 60, the UK share in relation with the Union budget will be a percentage calculated as the ratio between the own resources made available by the UK from the year 2014 to 2020 and the own resources made available by all Member States, including the UK, during the same period. Payments arising from the financial settlement will become due as if the UK had remained a Member State. In particular, the UK will not be required to incur expenditures earlier than would be the case had it remained a Member State unless agreed by both sides.9 It may be appropriate for the UK and the Union to agree on a simplified procedure for settling some elements of the payment schedule in the second phase of negotiations. Such a procedure should be based on an agreed forecast and, where appropriate, provision for subsequent review and correction. The financial settlement will be drawn up and paid in euro. Data for the calculation of UK obligations will be drawn up from publicly available sources where possible, and audited by the European Court of Auditors. Additional information necessary for the calculation of the UK’s share of Union obligations will be transmitted to the UK. The Union will provide the UK with the management and accounting information necessary to verify the components of the financial settlement in a timely manner. The second phase of the negotiations will address the practical modalities for implementing the agreed methodology and the schedule of payments. Following withdrawal from the Union, the UK will continue to participate in the Union programmes financed by the MFF 2014-202010 until their closure (excluding participation in financial operations which give rise to a contingent liability for which the UK is not liable as from the date of withdrawal). Entities located in the UK will be entitled to participate in such programmes. Participation in Union programmes will require the UK and UK beneficiaries to respect all relevant Union legal provisions including co-financing. Accordingly, the eligibility to apply to participate in Union programmes and Union funding for UK participants and projects will be unaffected by the UK’s withdrawal from the Union for the entire lifetime of such projects. In the second phase of negotiations it could be agreed that some rules related to Union programmes that would be considered as not relevant in relation to a departing Member State would not apply. As part of the second phase of negotiations, the Union and the UK could also decide to agree to simplified procedures so as to avoid unnecessary administrative burdens extending well beyond the end of the current multiannual financial framework, provided that they respect the sound financial management of the Union budget and do not result in discrimination in favour of the UK or UK beneficiaries. The UK and the Union could also agree on administrative procedures to facilitate the management of specific programmes. The UK states that it may wish to participate in some Union budgetary programmes of the new MFF post-2020 as a non-Member State. The financial settlement should not disrupt the operational functioning of the EIB as a result of the UK withdrawal in relation to the stock of operations (i.e. loans and other financial instruments) at that point. In this context, the UK will provide a guarantee for an amount equal to its callable capital on the day of withdrawal. This guarantee will be decreased in line with the amortisation of the stock of EIB operations at the date of withdrawal, starting on the date on which the outstanding stock reaches an amount equal to the total subscribed capital on the date of withdrawal and ending on the date it equals the total paid-in capital on the date of withdrawal, both as defined in the EIB statute. The UK share of the paid-in capital will be reimbursed in twelve annual instalments starting at the end of 201911. The UK remains liable for the reimbursed amount of paid-in capital until the outstanding stock of EIB operations equals the total paid-in capital on the date of withdrawal, at which point the liability will start to be amortised in line with the remaining non-amortised operations. Apart from these reimbursements, the EIB will not make any other payment, return or remuneration on account of the withdrawal of the UK from the EIB or on account of the provision by the UK of a guarantee. Any call to the callable guarantee or the paid-in (cash or guarantee) will be “paripassu” with calls on or payments made by the Member States provided that it is used for covering operations at the withdrawal date or for covering risks (such as ALM (Asset-Liability management) risks or operational risks) attributable to the stock of operations at the date of withdrawal. For other such risks not associated with specific loans and not attributable to the stock of operations built after the date of withdrawal, the UK responsibility will be proportional to the ratio between the stock of outstanding operations and the total amount of operations at the date of the event. The UK will maintain the EIB’s privileges and immunities under Protocols 5 and 7 annexed to the Treaties throughout the amortisation of the EIB’s stock of operations at the date of withdrawal. The UK considers that there could be mutual benefit from a continuing arrangement between the UK and the EIB. The UK wishes to explore these possible arrangements in the second phase of the negotiations. After the date of withdrawal, UK projects will not be eligible for new operations from the EIB reserved for Member States, including those under Union mandates. The paid-in capital of the UK in the ECB will be reimbursed to the Bank of England (BoE) after the date of withdrawal. Modalities and other practical arrangements will be established by the ECB Governing Council following the rules of the Treaties and its Protocol 4. The UK will honour the commitments it made before withdrawal for participating in the Facility for Refugees in Turkey and the European Union Emergency Trust Fund for stability and addressing root causes of irregular migration and displaced persons in Africa. The existing modalities of payments will be maintained unless otherwise agreed in the second phase. The UK will remain party to the European Development Fund (EDF) which is governed by a separate international agreement and is outside the Union budget until the closure of the 11th EDF. The UK will honour its share of the total commitments made under this EDF and the payments related to its share of the outstanding commitments made under previous EDFs. The existing modalities of payments will be maintained unless otherwise agreed in the second phase. The UK share of the Investment Facility of the EDF from successive EDF periods will be returned to the UK as the investment matures. Unless agreed otherwise, the UK’s capital share will not be recommitted beyond the end of the 11th EDF commitment period or rolled over into subsequent periods. Reflecting the ongoing commitment in relation to the EDF, the UK and the Union will agree on governance arrangements in the second phase, that take into account the continued participation of the UK in the 11th EDF, that the EDF falls under a separate international agreement and the UK’s withdrawal from the Union. The Commission welcomes the UK Government’s offer to discuss with Union Agencies located in London how they might facilitate their relocation, in particular as regards reducing the withdrawal costs. In the negotiations to date, both Parties have engaged in thorough discussion of the other separation issues in scope in this phase. These discussions have enabled good progress in identifying areas of convergence and divergence. The below text records the progress made in achieving agreement on a number of issues. There remain areas where further discussions will be required to reach agreement during the next phase of negotiations. The UK and the Commission have both proposed further issues for consideration in this phase. However, where there was not mutual agreement that an issue should be discussed in this phase of the negotiations, it has been agreed to return to it later. On Euratom-related (nuclear specific) issues both Parties have agreed principles for addressing the key separation issues relating to the UK’s withdrawal from Euratom. This includes agreement that the UK will be responsible for international nuclear safeguards in the UK and is committed to a future regime that provides coverage and effectiveness equivalent to existing Euratom arrangements. Both sides have also agreed the principles of ownership for special fissile material (save for material held in the UK by EU27 entities) and responsibility for spent fuel and radioactive waste. On ensuring continuity in the availability of goods placed on the market under Union law before withdrawal both Parties recognise the need to provide legal certainty and minimise disruption to business and consumers. Both Parties have agreed the principles that the goods placed on the market under Union law before withdrawal may freely circulate on the markets of the UK and the Union with no need for product modifications or re-labelling; be put into service where provided in Union law, and that the goods concerned should be subject to continued oversight. On cooperation in civil and commercial matters there is a need to provide legal certainty and clarity. There is general consensus between both Parties that Union rules on conflict of laws should continue to apply to contracts before the withdrawal date and non-contractual obligations where an event causing damage occurred before the withdrawal date. There was also agreement to provide legal certainty as to the circumstances under which Union law on jurisdiction, recognition and enforcement of judgements will continue to apply, and that judicial cooperation procedures should be finalised. On police and judicial cooperation in criminal matters there is a need to provide legal certainty and clarity. Both Parties broadly agree on the principle that all structured and formalised cooperation procedures ongoing on withdrawal date that have passed a certain threshold (to be defined) should be completed under Union law. On ongoing Union judicial procedures, both Parties have agreed that the CJEU should remain competent for UK judicial procedures registered at the CJEU on the date of withdrawal, and that those procedures should continue through to a binding judgment. On ongoing Union administrative proceedings both Parties have deepened their understanding of the respective positions, and explored some areas, such as competition, state aid and examinations of the Community Plant Variety Office. On issues relating to the functioning of the Union institutions, agencies and bodies, both Parties agree that an arrangement which closely mirrors Union privileges and immunities should remain applicable to activities that took place before withdrawal and as regards new activities foreseen in the Withdrawal Agreement; that both sides continue to ensure compliance with obligations of professional secrecy; and that classified information and other documents obtained by both sides whilst the UK was a Member State retain the same level of protection as before withdrawal. This report is put forward with a view to the meeting of the European Council (Article 50) of 14 and 15 December 2017. It is also agreed by the UK on the condition of an overall agreement under Article 50 on the UK’s withdrawal, taking into account the framework for the future relationship, including an agreement as early as possible in 2018 on transitional arrangements. Next articleExclusive: Who is the new YI Chairman?